100% merino wool w/fully enclosed squeaker. 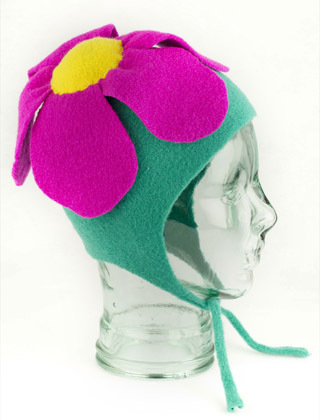 Teal hat with an oversized magenta daisy on the top. Please specify baby or kid size.